So cool that you are getting these old photos scrapped! I love your photo. What a perfect snapshot of history. The layout is perfect for this photo. Beautiful! I love the softness and I love the layers! 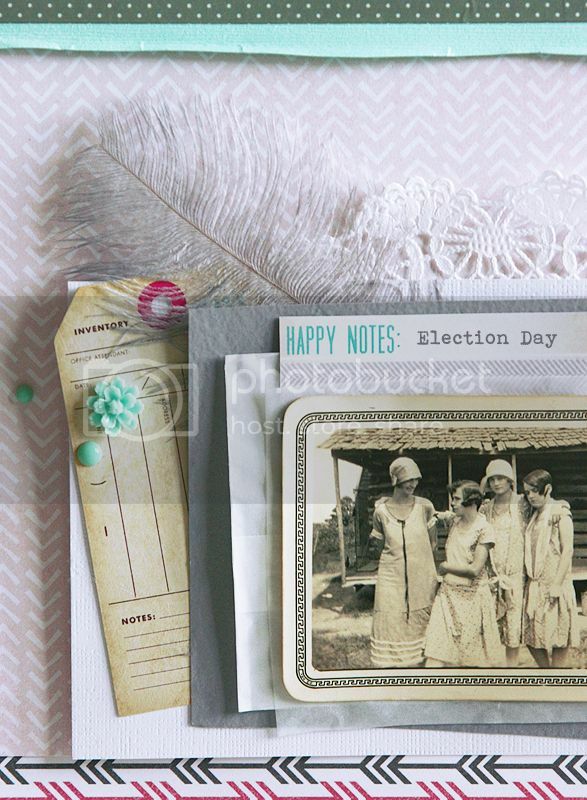 Amazing photo and memory to be able to scrapbook, love touches of aqua, it makes your photo pop! What an amazing photo to have and scrap! I loveeeeeeeee this! LOVING the colors, the layers and the feather!!! What an awesome photo to scrap and I love what you did with it. Beautiful pagework. Beautiful layout. I love all your great layouts. I adore your heritage layouts and this is a stunner. So soft, the doily and feather are perfect and I love the bright but subtle and limited pops of color. It is an amazing layout!! 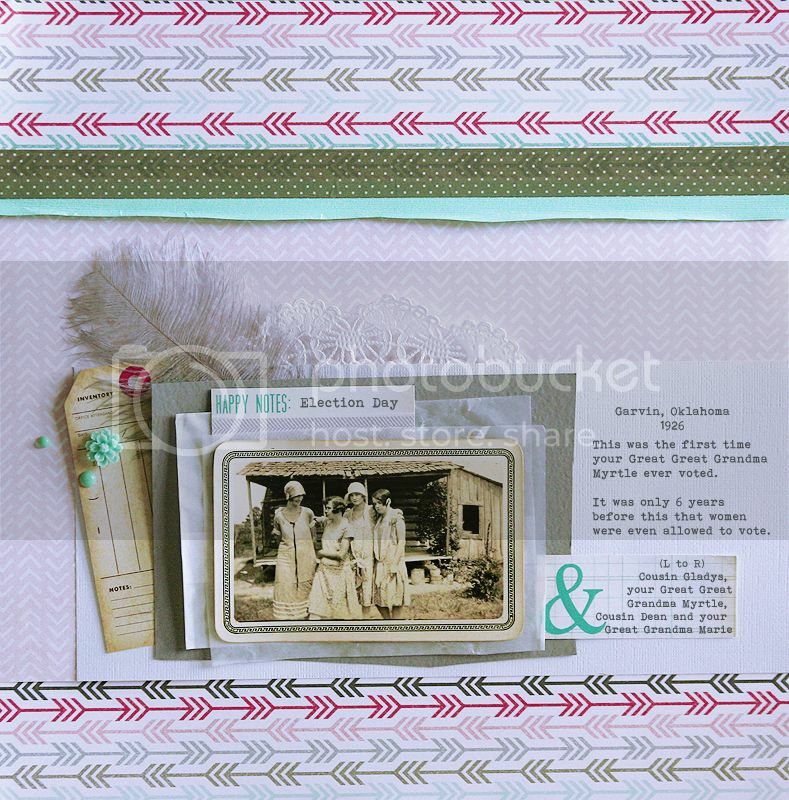 Your vintage photos are always amazing Mary Ann! Love this beautiful page and congrats on the feature at Two Peas! !